The Montreal Protocol on Substances that Deplete the Ozone Layer (a protocol to the Vienna Convention for the Protection of the Ozone Layer) is an international treaty designed to protect the ozone layer by phasing out the production of numerous substances that are responsible for ozone depletion. It was agreed on 16 September 1987, and entered into force on 16 September 1989, following a first meeting in Helsinki, May 1989. Since then, it has undergone eight revisions, in 1990 (London), 1991 (Nairobi), 1992 (Copenhagen), 1993 (Bangkok), 1995 (Vienna), 1997 (Montreal), 1998 (Australia), 1999 (Beijing) and 2016 (Kigali) As a result of the international agreement, the ozone hole in Antarctica is slowly recovering. Climate projections indicate that the ozone layer will return to 1980 levels between 2050 and 2070. Due to its widespread adoption and implementation it has been hailed as an example of exceptional international co-operation, with Kofi Annan quoted as saying that "perhaps the single most successful international agreement to date has been the Montreal Protocol". In comparison, effective burden sharing and solution proposals mitigating regional conflicts of interest have been among the success factors for the ozone depletion challenge, where global regulation based on the Kyoto Protocol has failed to do so. In this case of the ozone depletion challenge, there was global regulation already being installed before a scientific consensus was established. Also, overall public opinion was convinced of possible imminent risks. 26 August 1989 if 11 states have ratified by then. Arabic, Chinese, English, French, Russian, and Spanish. Retrospective video on the Montreal Protocol and the collaboration between policy-makers, scientists, and industry leaders to regulate CFCs. The two ozone treaties have been ratified by 197 parties (196 states and the European Union), making them the first universally ratified treaties in United Nations history. These truly universal treaties have also been remarkable in the expedience of the policy-making process at the global scale, where only 14 years lapsed between a basic scientific research discovery (1973) and the international agreement signed (1985 & 1987). For each group of ODSs, the treaty provides a timetable on which the production of those substances must be shot out and eventually eliminated. This included a 10-year phase-in for developing countries identified in Article 5 of the treaty. "Recognizing that worldwide emissions of certain substances can significantly deplete and otherwise modify the ozone layer in a manner that is likely to result in adverse effects on human health and the environment. Determined to protect the ozone layer by taking precautionary measures to control equitably total global emissions of substances that deplete it with the ultimate objective of their elimination on the basis of developments in scientific knowledge"
"Acknowledging that special provision is required to meet the needs of developing countries"
from 1994 its calculated level of consumption and production of the controlled substances in Group I of Annex A does not exceed, annually, twenty-five percent of its calculated level of consumption and production in 1986.
from 1996 its calculated level of consumption and production of the controlled substances in Group I of Annex A does not exceed zero. There was a faster phase-out of halon-1211, -2402, -1301, There was a slower phase-out (to zero by 2010) of other substances (halon 1211, 1301, 2402; CFCs 13, 111, 112, etc. )[contradictory] and some chemicals were given individual attention (Carbon tetrachloride; 1,1,1-trichloroethane). The phasing-out of the less damaging HCFCs only began in 1996 and will go on until a complete phasing-out is achieved by 2030. There were a few exceptions for "essential uses", where no acceptable substitutes were initially found (for example, in the past metered dose inhalers commonly used to treat asthma and chronic obstructive pulmonary disease were exempt) or Halon fire suppression systems used in submarines and aircraft (but not in general industry). The provisions of the Protocol include the requirement that the Parties to the Protocol base their future decisions on the current scientific, environmental, technical, and economic information that is assessed through panels drawn from the worldwide expert communities. To provide that input to the decision-making process, advances in understanding on these topics were assessed in 1989, 1991, 1994, 1998 and 2002 in a series of reports entitled Scientific assessment of ozone depletion, by the Scientific Assessment Panel (SAP). In 1990 a Technology and Economic Assessment Panel was also established as the technology and economics advisory body to the Montreal Protocol Parties. The Technology and Economic Assessment Panel (TEAP) provides, at the request of Parties, technical information related to the alternative technologies that have been investigated and employed to make it possible to virtually eliminate use of Ozone Depleting Substances (such as CFCs and Halons), that harm the ozone layer. The TEAP is also tasked by the Parties every year to assess and evaluate various technical issues including evaluating nominations for essential use exemptions for CFCs and halons, and nominations for critical use exemptions for methyl bromide. TEAP’s annual reports are a basis for the Parties’ informed decision-making. Under the Montreal Protocol on Substances that Deplete the Ozone Layer, especially Executive Committee (ExCom) 53/37 and ExCom 54/39, Parties to this Protocol agreed to set year 2013 as the time to freeze the consumption and production of HCFCs for developing countries. For developed counties, reduction of HCFC consumption and production began in 2004 and 2010, respectively, with 100% reduction set for 2020. Developing countries agreed to start reducing its consumption and production of HCFCs by 2015, with 100% reduction set for 2030. Hydrochlorofluorocarbons, commonly known as HCFCs, are a group of man-made compounds containing hydrogen, chlorine, fluorine and carbon. They are not found anywhere in nature. HCFC production began to take off after countries agreed to phase out the use of CFCs in the 1980s, which were found to be destroying the ozone layer. Like CFCs, HCFCs are used for refrigeration, aerosol propellants, foam manufacture and air conditioning. 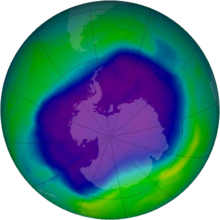 Unlike the CFCs, however, most HCFCs are broken down in the lowest part of the atmosphere and pose a much smaller risk to the ozone layer. 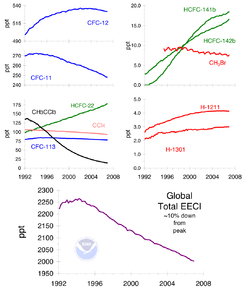 Nevertheless, HCFCs are very potent greenhouse gases, despite their very low atmospheric concentrations, measured in parts per trillion (million million). The HCFCs are transitional CFCs replacements, used as refrigerants, solvents, blowing agents for plastic foam manufacture, and fire extinguishers. In terms of ozone depletion potential (ODP), in comparison to CFCs that have ODP 0.6 – 1.0, these HCFCs have lower ODPs (0.01 – 0.5). In terms of global warming potential (GWP), in comparison to CFCs that have GWP 4,680 – 10,720, HCFCs have lower GWPs (76 – 2,270). On January 1, 2019 the Kigali Amendment to the Montreal Protocol came into force. Under the Kigali Amendment countries promised to reduce the use of hydrofluorocarbons (HFCs) by more than 80% over the next 30 years. By December 27, 2018, 65 countries had ratified the Amendment. HFCs phase down HFCs can be accomplished by redesigning more energy efficient cooling equipment. Produced mostly in developed countries, hydrofluorocarbons (HFCs) replaced CFCs and HCFCs. HFCs pose no harm to the ozone layer because, unlike CFCs and HCFCs, they do not contain chlorine. They are, however, greenhouse gases, with a high global warming potential (GWP), comparable to that of CFCs and HCFCs. Thus, in 2009, a study calculated that a fast phasedown of high-GWP HFCs could potentially prevent the equivalent of up to 8.8 Gt CO2-eq per year in emissions by 2050. A proposed phasedown of HFCs was hence projected to avoid up to 0.5C of warming by 2100 under the high-HFC growth scenario, and up to 0.35C under the low-HFC growth scenario. Recognizing the opportunity presented for fast and effective phasing down of HFCs through the Montreal Protocol, starting in 2009 the Federated States of Micronesia proposed an amendment to phase down high-GWP HFCs, with the U.S., Canada, and Mexico following with a similar proposal in 2010. After seven years of negotiations, in October 2016 at the 28th Meeting of the Parties to the Montreal Protocol in Kigali, the Parties to the Montreal Protocol adopted the Kigali Amendment whereby the Parties agreed to phasedown HFCs under the Montreal Protocol. The amendment to the legally-binding Montreal Protocol will ensure that industrialised countries bring down their HFC production and consumption by at least 85 per cent compared to their annual average values in the period 2011-2013. A group of developing countries including China, Brazil and South Africa are mandated to reduce their HFC use by 85 per cent of their average value in 2020-22 by the year 2045. India and some other developing countries — Iran, Iraq, Pakistan, and some oil economies like Saudi Arabia and Kuwait — will cut down their HFCs by 85 per cent of their values in 2024-26 by the year 2047. On 17 November 2017, ahead of the 29th Meeting of the Parties of the Montreal Protocol, Sweden became the 20th Party to ratify the Kigali Amendment, pushing the Amendment over its ratification threshold ensuring that the Amendment would enter into force 1 January 2019. In 1973, the chemists Frank Sherwood Rowland and Mario Molina, who were then at the University of California, Irvine, began studying the impacts of CFCs in the Earth's atmosphere. They discovered that CFC molecules were stable enough to remain in the atmosphere until they got up into the middle of the stratosphere where they would finally (after an average of 50–100 years for two common CFCs) be broken down by ultraviolet radiation releasing a chlorine atom. Rowland and Molina then proposed that these chlorine atoms might be expected to cause the breakdown of large amounts of ozone (O3) in the stratosphere. Their argument was based upon an analogy to contemporary work by Paul J. Crutzen and Harold Johnston, which had shown that nitric oxide (NO) could catalyze the destruction of ozone. (Several other scientists, including Ralph Cicerone, Richard Stolarski, Michael McElroy, and Steven Wofsy had independently proposed that chlorine could catalyze ozone loss, but none had realized that CFCs were a potentially large source of chlorine.) Crutzen, Molina and Rowland were awarded the 1995 Nobel Prize for Chemistry for their work on this problem. The environmental consequence of this discovery was that, since stratospheric ozone absorbs most of the ultraviolet-B (UV-B) radiation reaching the surface of the planet, depletion of the ozone layer by CFCs would lead to an increase in UV-B radiation at the surface, resulting in an increase in skin cancer and other impacts such as damage to crops and to marine phytoplankton. After publishing their pivotal paper in June 1974, Rowland and Molina testified at a hearing before the U.S. House of Representatives in December 1974. As a result, significant funding was made available to study various aspects of the problem and to confirm the initial findings. 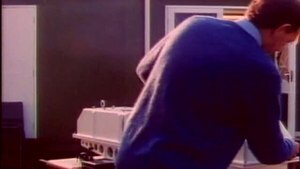 In 1976, the U.S. National Academy of Sciences (NAS) released a report that confirmed the scientific credibility of the ozone depletion hypothesis. NAS continued to publish assessments of related science for the next decade. Then, in 1985, British Antarctic Survey scientists Joe Farman, Brian Gardiner and Jonathan Shanklin published results of abnormally low ozone concentrations above Halley Bay near the South Pole. They speculated that this was connected to increased levels of CFCs in the atmosphere. It took several other attempts to establish the Antarctic losses as real and significant, especially after NASA had retrieved matching data from its satellite recordings. The impact of these studies, the metaphor 'ozone hole', and the colourful visual representation in a time lapse animation proved shocking enough for negotiators in Montreal, Canada to take the issue seriously. Also in 1985, 20 nations, including most of the major CFC producers, signed the Vienna Convention, which established a framework for negotiating international regulations on ozone-depleting substances. After the discovery of the ozone hole by SAGE 2 it only took 18 months to reach a binding agreement in Montreal, Canada. But the CFC industry did not give up that easily. As late as 1986, the Alliance for Responsible CFC Policy (an association representing the CFC industry founded by DuPont) was still arguing that the science was too uncertain to justify any action. In 1987, DuPont testified before the US Congress that "We believe there is no imminent crisis that demands unilateral regulation." And even in March 1988, Du Pont Chair Richard E. Heckert would write in a letter to the United States Senate, "we will not produce a product unless it can be made, used, handled and disposed of safely and consistent with appropriate safety, health and environmental quality criteria. At the moment, scientific evidence does not point to the need for dramatic CFC emission reductions. There is no available measure of the contribution of CFCs to any observed ozone change..."
The main objective of the Multilateral Fund for the Implementation of the Montreal Protocol is to assist developing country parties to the Montreal Protocol whose annual per capita consumption and production of ozone depleting substances (ODS) is less than 0.3 kg to comply with the control measures of the Protocol. Currently, 147 of the 196 Parties to the Montreal Protocol meet these criteria (they are referred to as Article 5 countries). It embodies the principle agreed at the United Nations Conference on Environment and Development in 1992 that countries have a common but differentiated responsibility to protect and manage the global commons. United Nations Environment Programme (UNEP), through its OzonAction Programme. Up to 20 percent of the contributions of contributing parties can also be delivered through their bilateral agencies in the form of eligible projects and activities. The fund is replenished on a three-year basis by the donors. Pledges amount to US$3.1 billion over the period 1991 to 2005. Funds are used, for example, to finance the conversion of existing manufacturing processes, train personnel, pay royalties and patent rights on new technologies, and establish national ozone offices. As of 23 June 2015, all countries in the United Nations, the Cook Islands, Holy See, Niue as well as the European Union have ratified the original Montreal Protocol (see external link below), with South Sudan being the last country to ratify the agreement, bringing the total to 197. These countries have also ratified the London, Copenhagen, Montreal, and Beijing amendments. Reported in 1997, significant production of CFCs occurred in Russia for sale on the black market to the EU throughout the 90s. Related US production and consumption was enabled by fraudulent reporting due to poor enforcement mechanisms. Similar illegal markets for CFCs were detected in Taiwan, Korea, and Hong Kong. . The Montreal Protocol is also expected to have effects on human health. A 2015 report by the U. S. Environmental Protection Agency estimates that the protection of the ozone layer under the treaty will prevent over 280 million cases of skin cancer, 1.5 million skin cancer deaths, and 45 million cataracts in the United States. However, the hydrochlorofluorocarbons, or HCFCs, and hydrofluorocarbons, or HFCs, are now thought to contribute to anthropogenic global warming. On a molecule-for-molecule basis, these compounds are up to 10,000 times more potent greenhouse gases than carbon dioxide. The Montreal Protocol currently calls for a complete phase-out of HCFCs by 2030, but does not place any restriction on HFCs. Since the CFCs themselves are equally powerful greenhouse gases, the mere substitution of HFCs for CFCs does not significantly increase the rate of anthropogenic climate change, but over time a steady increase in their use could increase the danger that human activity will change the climate. Policy experts have advocated for increased efforts to link ozone protection efforts to climate protection efforts. Policy decisions in one arena affect the costs and effectiveness of environmental improvements in the other. In 2018, scientists monitoring the atmosphere following the 2010 phaseout date have reported evidence of continuing industrial production of CFC-11, likely in eastern Asia, with detrimental global effects on the ozone layer. A monitoring study detected fresh atmospheric releases of carbon tetrachloride from China's Shandong province, beginning sometime after 2012, and accounting for a large part of emissions exceeding global estimates under the Montreal Protocol. The year 2012 marked the 25th anniversary of the signing of the Montreal Protocol. Accordingly, the Montreal Protocol community organized a range of celebrations at the national, regional and international levels to publicize its considerable success to date and to consider the work ahead for the future. Among its accomplishments are: The Montreal Protocol was the first international treaty to address a global environmental regulatory challenge; the first to embrace the "precautionary principle" in its design for science-based policymaking; the first treaty where independent experts on atmospheric science, environmental impacts, chemical technology, and economics, reported directly to Parties, without edit or censorship, functioning under norms of professionalism, peer review, and respect; the first to provide for national differences in responsibility and financial capacity to respond by establishing a multilateral fund for technology transfer; the first MEA with stringent reporting, trade, and binding chemical phase-out obligations for both developed and developing countries; and, the first treaty with a financial mechanism managed democratically by an Executive Board with equal representation by developed and developing countries. Within 25 years of signing, parties to the MP celebrate significant milestones. Significantly, the world has phased-out 98% of the Ozone-Depleting Substances (ODS) contained in nearly 100 hazardous chemicals worldwide; every country is in compliance with stringent obligations; and, the MP has achieved the status of the first global regime with universal ratification; even the newest member state, South Sudan, ratified in 2013. UNEP received accolades for achieving global consensus that "demonstrates the world’s commitment to ozone protection, and more broadly, to global environmental protection". ^ Hub, IISD's SDG Knowledge. "Kigali Amendment Enters into Force, Bringing Promise of Reduced Global Warming | News | SDG Knowledge Hub | IISD". Retrieved 7 March 2019. ^ "Adjustments to the Montreal Protocol". United Nations Environment Programme Ozone Secretariat. ^ Ewenfeldt B, "Ozonlagret mår bättre", Arbetarbladet 12-9-2014, p. 10. ^ "Ozone Layer on Track to Recovery: Success Story Should Encourage Action on Climate". UNEP. UNEP. 10 September 2014. Retrieved 18 September 2014. ^ Susan Solomon; Anne R. Douglass; Paul A. Newman (July 2014). "The Antarctic ozone hole: An update". Physics Today. 67 (7): 42–48. doi:10.1063/PT.3.2449. ^ "The Ozone Hole-The Montreal Protocol on Substances that Deplete the Ozone Layer". Theozonehole.com. 16 September 1987. ^ "Background for International Day for the Preservation of the Ozone Layer - 16 September". www.un.org. Retrieved 28 May 2017. ^ a b "Status of Ratification – The Ozone Secretariat". Ozone.unep.org. Archived from the original on 8 October 2014. Retrieved 10 March 2008. ^ "UNEP press release: "South Sudan Joins Montreal Protocol and Commits to Phasing Out Ozone-Damaging Substances"". Unep.org. ^ "Class I Ozone-depleting Substances | Science | Ozone Layer Protection | US EPA". Epa.gov. 15 February 2013. ^ An Interview with Lee Thomas, EPA’s 6th Administrator. Video, Transcript (see p15). April 19, 2012. ^ "Scientific Assessment Panel | OZONE SECRETARIAT". ozone.unep.org. Retrieved 23 April 2018. ^ "Technology and Economic Assessment Panel | OZONE SECRETARIAT". ozone.unep.org. Retrieved 23 April 2018. ^ "The Montreal Protocol on Substances that Deplete the Ozone Layer". United Nations Environment Programme. Retrieved 16 November 2018. ^ a b Msuya, Joyce (2 January 2019). "Kigali Amendment heralds new dawn for climate change action". The Standard. Standard Media. Retrieved 2 January 2019. ^ "Climate of irrationality". Down To Earth. 18 September 2012. ^ Velders GJ, Fahey DW, Daniel JS, McFarland M, Andersen SO (July 2009). "The large contribution of projected HFC emissions to future climate forcing". Proceedings of the National Academy of Sciences of the United States of America. 106 (27): 10949–54. doi:10.1073/pnas.0902817106. PMC 2700150. PMID 19549868. ^ Xu, Yangyang; Zaelke, Durwood; Velders, Guus J. M.; Ramanathan, V (1 June 2013). The role of HFCs in mitigating 21st century climate change. 13. ^ "Proposed amendment to the Montreal Protocol" (PDF). United Nations Environment Programme. 4 May 2009. Retrieved 17 May 2018. ^ "Proposed amendment to the Montreal Protocol" (PDF). United Nations Environment Programme. 30 July 2010. Retrieved 17 May 2018. ^ "Report of the Twenty-Eighth Meeting of the Parties to the Montreal Protocol on Substances that Deplete the Ozone Layer" (PDF). October 2016. ^ "Montreal Protocol celebrates another milestone as agreement to reduce climate-warming gases is set to enter into force in 2019". UN Environment. Retrieved 25 January 2018. ^ National Academy of Sciences (1976). Halocarbons, effects on stratospheric ozone. Washington, DC. ^ Doyle, Jack (October 1991). "DuPont's Disgraceful Deeds: The Environmental Record of E.I. DuPont de Nemour". The Multinational Monitor. 12 (10). The Multinational Monitor. Retrieved 8 September 2014. ^ "Du Pont: A Case Study In the 3D Corporate Strategy". Greenpeace. 1997. Archived from the original on 6 April 2012. Retrieved 8 September 2014. ^ Creating a real change for the environment. Secretariat of the Multilateral Fund for the Implementation of the Montreal Protocol. 2007. ^ "2. a Montreal Protocol on Substances that Deplete the Ozone Layer Montreal, 16 September 1987". United Nations. Retrieved 25 August 2018. ^ Mäder, J. A.; Staehelin, J.; Peter, T.; Brunner, D.; Rieder, H. E.; Stahel, W. A. (22 December 2010). "Evidence for the effectiveness of the Montreal Protocol to protect the ozone layer". Atmospheric Chemistry and Physics. 10 (24): 12161–12171. doi:10.5194/acp-10-12161-2010. ^ "Top Story – 2001 Antarctic Ozone Hole Similar in Size to Holes of Past Three Years, NOAA and NASA Report – October 16, 2001". www.gsfc.nasa.gov. Archived from the original on 31 December 2009. Retrieved 16 September 2010. ^ "NOAA News Online (Story 2099)". www.noaanews.noaa.gov. Retrieved 16 September 2010. ^ "A Mystery Source is Producing Banned Ozone-Destroying Chemicals, Shocking Scientists". ^ "EIA – Emissions of the Greenhouse Gases in the United States 2005". www.eia.doe.gov. Archived from the original on 21 April 2011. Retrieved 16 September 2010. ^ "Banned Ozone-Depleting Chemical Is Still Being Produced Somewhere, Scientists Say". NPR. 17 May 2018. Retrieved 17 May 2018. ^ M. F. Lunt; et al. (28 September 2018). "Continued Emissions of the Ozone‐Depleting Substance Carbon Tetrachloride From Eastern Asia". Geophysical Research Letters. 45 (20): 11, 423–11, 430. doi:10.1029/2018GL079500. ^ "Ozone Secretariat 25th Anniversary web page". Ozone.unep.org. ^ Canan, Penelope and Nancy Reichman (2013, forthcoming), "The Montreal Protocol" in J. Britt Holbrook (Chief Editor) Ethics, Science, Technology, and Engineering: An International Resource, 2nd Edition, Thompson Learning. Andersen, S. O., K. M. Sarma and K. N. Taddonio. (2007). Technology Transfer for the Ozone Layer: Lessons for Climate Change. Earthscan Press, London. Brodeur, Paul (1986). "Annals of Chemistry: In the Face of Doubt." The New Yorker, 9 June 1986, pp. 70–87. Chasek, Pam, David Downie, and J.W. Brown (2013 – forthcoming). Global Environmental Politics, 6th Edition, Boulder: Westview Press. Dotto, Lydia and Harold Schiff (1978). The Ozone War. New York: Double Day. Downie, David (1993). "Comparative Public Policy of Ozone Layer Protection." Political Science (NZ) 45(2): (December): 186–197. Downie, David (1995). "Road Map or False Trail: Evaluating the Precedence of the Ozone Regime as Model and Strategy for Global Climate Change," International Environmental Affairs, 7(4):321–345 (Fall 1995). Downie, David (1999). "The Power to Destroy: Understanding Stratospheric Ozone Politics as a Common Pool Resource Problem", in J. Barkin and G. Shambaugh (eds.) Anarchy and the Environment: The International Relations of Common Pool Resources. Albany: State University of New York Press. David L. Downie (2012). "The Vienna Convention, Montreal Protocol and Global Policy to Protect Stratospheric Ozone", in P. Wexler et al. (eds.) Chemicals, Environment, Health: A Global Management Perspective. Oxford: Taylor & Francis. Downie, David (2013) "Stratospheric Ozone Depletion." The Routledge Handbook of Global Environmental Politics. New York: Routledge. Farman, J.C., B.G. Gardiner, and J.D. Shanklin (1985). "Large Losses of Total Ozone in Antarctica Reveal Seasonal ClOx/NOx Interaction." Nature 315: 207–210, 16 May 1985. Molina, Mario and F. Sherwood Rowland (1974). "Stratospheric Sink for Chlorofluoromethanes: Chlorine Atomic Catalyzed Destruction of Ozone." Nature 249: 810–12, 28 June 1974. Morissette, P.M. (1989). "The evolution of policy responses to stratospheric ozone depletion." Natural Resources Journal 29: 793–820. United Nations Environmental Programme. (2012). The Montreal Protocol and The Green Economy. Velders, G. J. M., S. O. Andersen, J. S. Daniel, D. W. Fahey, and M. McFarland. (2007). The Importance of the Montreal Protocol in Protecting the Climate. Proc. of the Natl. Acad. Of Sci., 104(12), 4814–4819, doi:10.1073/pnas.0610328104. Velders, G. J. M., D. W. Fahey, J. S Daniel, M. McFarland, and S. O. Andersen. (2009). The Large Contribution of Projected HFC Emissions to Future Climate Forcing. Proc. of the Natl. Acad. Of Sci., 106(27), doi:10.1073/pnas.090281716. Velders, G. J. M., A. R. Ravishankara, M. K. Miller, M. J. Molina, J. Alcamo, J. S. Daniel, D. W. Fahey, S. A. Montzka, and S. Reimann. (2012). Preserving Montreal Protocol Climate Benefits by Limiting HFCs. Science, 335(6071), 922–923, doi:10.1126/science.1216414. EIA reports: Reports on illegal trade and solutions.